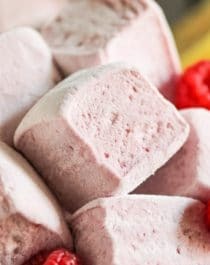 This recipe for Raspberry Lemon Hibiscus Marshmallows yields the lightest, fluffiest, and most flavorful mallows you could ever dream of! They’re sweet from the raspberries, tart from the lemon, and totally unique from the hibiscus. Thankfully, these mallows aren’t unhealthy like the storebought kinds. 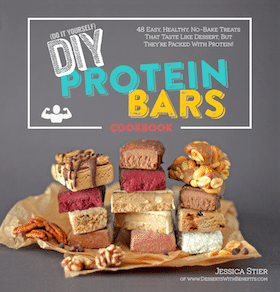 No need for the high fructose corn syrup, preservatives, and artificial food dyes here! You’d never know these are sweetened with agave nectar and naturally pink from the hibiscus flowers. You’ll love ’em! Spray an 8×11″ rectangle pan with cooking spray and line with parchment paper one way for easy removal later. In a bowl, add the hibiscus. Pour in the boiling water and let steep for ~5 minutes, or until a vibrant red color. Let cool completely. In a large stand mixer bowl with whisk attachment, add the gelatin and 6 tbs of the hibiscus tea. Place the agave nectar in a small saucepan (I used a 2-quart pan). Add a candy thermometer to the pan and place over medium heat. Bring it to a boil. Remove from the heat when the temperature reaches 230°F. Turn the stand mixer on low speed and carefully pour in the hot syrup. 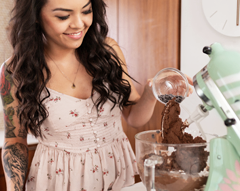 Cover the stand mixer with a kitchen towel to avoid any splatters on your counter, and increase the mixer speed to high. Beat for 8 minutes, or until very thick, shiny and voluminous. Add the vanilla paste, lemon flavor, and salt and beat for 2 more minutes. Working quickly, scoop the mixture into the prepared pan and spread it out using an offset spatula. Let sit for 5+ hours, or overnight. 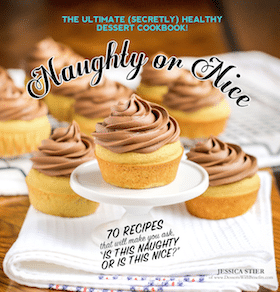 In a small bowl, whisk together the starch and erythritol. Dust your countertop with the mixture. Gently flip the marshmallows onto the counter and slice the marshmallows. Toss the marshmallows around in the starch/erythritol. Serve and enjoy! 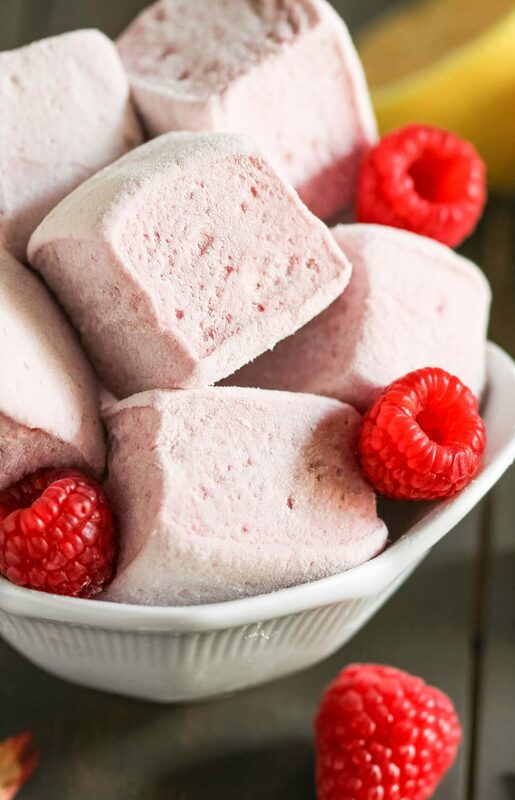 These Raspberry Lemon Hibiscus Marshmallows are everything you never knew you even needed in life.